I’ve mentioned pastebin-type tools more than once in recent history, and they all have strong points depending on the site they target. I like haste partly because hastebin.com is open to public use (see fb-client :roll:), but also because it seems to work smoothly. Left, the action. Right, the result. That’s about all there is to it. 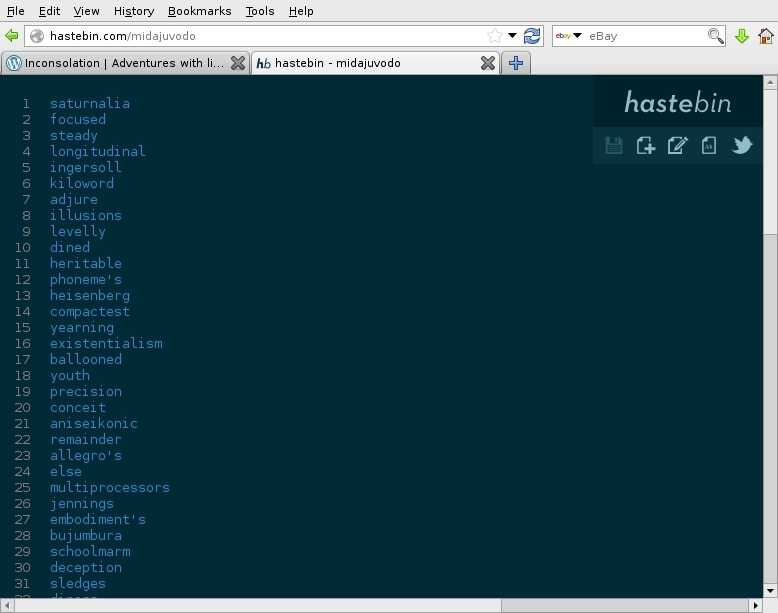 haste is a bit delicate though; there’s no man page that I could find, and it doesn’t seem to accept flags. If I threw a curve ball at it, it would freak and spatter errors on the screen. 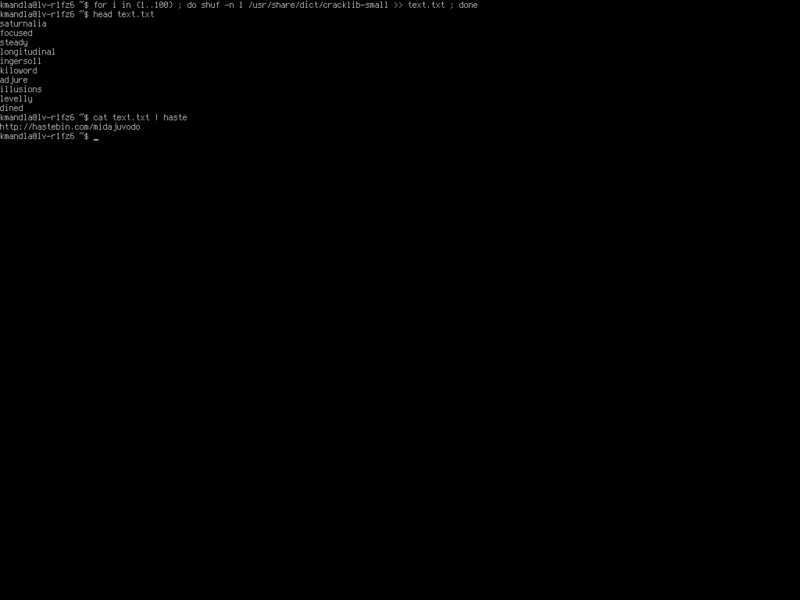 This entry was posted in Linux and tagged code, manager, network, paste, pastebin, text, upload on 2013/11/19 by K.Mandla.